Gaetano Scuderi, MD is the Founder and Chairman of the Board of Cytonics Corporation. 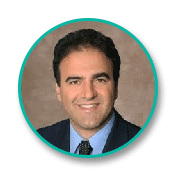 Dr. Scuderi is a fellowship-trained (UCSD, San Diego, CA) spine surgeon who has practiced medicine since 1993. He was also appointed to Clinical Assistant Professor in the Department of Orthopedic Surgery of Stanford University. He graduated medical school from State University of New York (Buffalo, NY) and completed his Residency at University of Miami School of Medicine (Miami, FL). 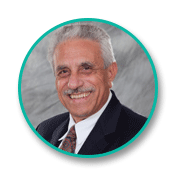 Dr. Scuderi has published over 45 scientific articles and has lectured worldwide. 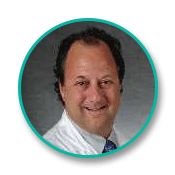 Dr. Scuderi currently practices orthopedic surgery in Jupiter, FL. In addition to his clinical practice and his role with Cytonics, Dr. Scuderi is a 4th-degree black belt in Jiu-Jitsu and the founder/principal instructor of Scuderi Self Defense (Jupiter, FL). Dr. Scuderi’s love for this martial art is only surpassed by his passion for helping the sick and elderly reclaim their mobility and quality of life. Mr. Carvalho has more than 25 years’ experience developing, manufacturing, and commercializing innovative products in the pharmaceutical and consumer product industries. He served as Vice President of Finance for the Global Oncology business unit of Novartis Pharmaceuticals, where he had financial oversight for the unit’s 20 product launches in a 5-year span. Prior to this role, Mr. Carvalho was the General Manager for Novartis’ US Pharmaceutical manufacturing unit. His other roles at Novartis included CFO Latin America, CFO US Ophthalmics, and Vice President and Controller for Novartis’ US Pharmaceutical Division. Mr. Carvalho has a BBA in Accounting from Iona College (New Rochelle, NY) and is a Certified Public Accountant. Mr. Bose has over 10 years’ experience in biotechnology research development and healthcare investment banking. As President of Cytonics, his primary responsibilities include coordinating capital raising efforts, initiating clinical trials for the company’s lead drug candidate (CYT-108), filing and maintaining patent protection of intellectual property, and identifying strategic buyers and out-licensing opportunities for the company. He holds a BS in Biomedical Engineering from the University of Virginia (Charlottesville, VA) and an MS in Biomedical Engineering from Johns Hopkins University (Baltimore, MD). 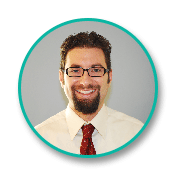 Dr. Hanna has served as Chief Scientific Officer of Cytonics since February 2008. 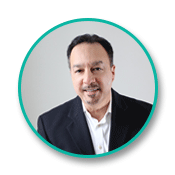 Dr. Hanna has over 28 years’ experience in pharmaceutical research and development, specializing in the development of recombinant protein therapies. He has extensive knowledge of protein folding, purification, formulation, large-scale production, quality, and regulatory requirements to obtain FDA new drug approval. Until 2004, Dr. Hanna was the Director of Process Development at Alexion Pharmaceutical, and prior to that, he was a Group Leader at Bristol-Myers Squibb Pharmaceutical Research Institute. He also served a Principal Research Scientist at R.W. Johnson Pharmaceutical Research Institute (Raritan, NJ) for 7 years. Dr. Hanna received his BS degree from Cairo University (Giza, Egypt), received his PhD from City University of New York (New York City, NY), and completed a post-doctoral fellowship at Cornell University (Ithaca, NY). 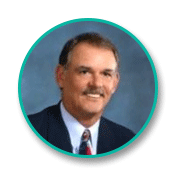 Mr. Ramseier is the President, co-founder and an equity member of BCI LifeSciences LLC. He has over forty years of origination and operations experience, building and commercializing new technologies. He was a Founder of The Sage Group, and has held senior level executive and board of directors positions with a number of companies in the life sciences industry, including: OncoTherapeutics, ImmuneTech Pharmaceuticals, Inc. (later Dura Pharmaceuticals), the Healthcare Industries Practice of Booz, Allen & Hamilton, G.D. Searle, and Pfizer Laboratories. Mr. Ramseier received his M.B.A. (with distinction) from the Amos Tuck School of Business Administration, Dartmouth College and his B.S. in Chemistry from Washington & Lee University. Dr. Vanessa G. Cuellar graduated from the Honors Program in Microbiology, Immunology and Molecular Genetics at the University of California, Los Angeles (UCLA), completing an honors thesis in the laboratory of Jeffrey H. Miller in DNA repair and mutagenesis. She was awarded a Medical Scholars research fellowship in medical school and studied non-viral gene therapy in the lab of Michele P. Calos in the Department of Genetics at Stanford University School of Medicine. Her affiliation with Cytonics follows first research collaborations with Dr. Gaetano Scuderi leading to the identification of molecular biomarkers of severe arthropathy. She is currently a resident in orthopaedic surgery at NYU Hospital for Joint Diseases as part of the Clinician Scientist Training Program and has completed a year of research in molecular biomarkers of osteoarthritis and cartilage disease in the Musculoskeletal Research Center at NYU. Dr. Cuellar graduated from U.C. Davis with a degree in Neurobiology, Physiology, and Behavior. He then pursued his doctorate under Earl Carstens in Molecular, Cellular and Integrative Physiology at U.C. Davis, concluding in a dissertation on the molecular mechanisms of pain. Jason attended Stanford University School of Medicine and completed post-doctoral training in the lab of D. C. Yeomans. He is currently training in orthopaedic surgery at NYU Hospital for Joint Diseases, as a fellow in the clinician scientist training program. 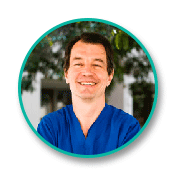 Dr. Yeomans is a Professor in the Department of Anesthesia at Stanford Medical School. He is also Director of Pain Research and the Medical Neuroscientist Program at Stanford. He received his bachelor’s degree in Psychology from Dartmouth College in Hanover, New Hampshire, and his Ph.D. in Neuroscience from the University of Florida, where he studied the differential effects of strong narcotic analgesics on different types of pain. 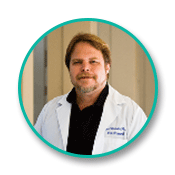 His current academic interests focus primarily on gene therapy for chronic pain and biomarkers for different pain types. Dr. Olan is board-certified in Radiology, the director of Invasive and Endovascular Neurosurgery, and an associate professor at The George Washington University Medical Center. He is also a consulting physician to the National Institutes of Health. He completed his training in Radiology and fellowship training in Neuroradiology with subspecialty training in Interventional Neuroradiology. Dr. Olan has published extensively on minimally invasive spinal interventions, endovascular treatments, and cervical abnormalities. He lectures on minimally invasive spinal techniques and is involved in the development of many devices in the spinal arena. He has also published and taught cerebrovascular abnormalities, especially revascularization, and stroke prevention and treatment. Dr. Thomas San Giovanni is a Board-certified orthopedic surgeon at Doctors Hospital in Coral Gables, Florida, specializing in conditions of the foot and ankle. He received his medical degree from George Washington University School of Medicine in Washington, D.C. Thomas subsequently completed an orthopedic surgical residency at the University of Miami and two fellowships at Harvard Medical School in Foot and Ankle surgery and Pediatric Orthopedic Surgery. He also completed a Robert Wood Johnson Research Fellowship at Columbia University’s College of Physicians and Surgeons in New York City. 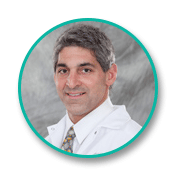 Dr. San Giovanni is the orthopedic surgeon for the Miami City Ballet. He also serves as a foot and ankle surgical consultant to the Florida Panthers, Tampa Bay Buccaneers, Florida International University and Miami-Dade County Public Schools. Dr. Martin Angst holds an appointment as a Professor of Anesthesiology, Perioperative and Pain Medicine at Stanford University School of Medicine. His research focuses on studying immune health in the context of surgery and trauma to identify molecular immune trajectories that are highly predictive of aversive trauma-associated outcomes including protracted recovery and infection. Dr. Angst has been sponsored by the National Institute of Health, the Defense Advanced Research Projects Agency, private foundations, and the pharmaceutical industry. He has published over 70 peer-reviewed articles, has authored several book chapters and serves on the editorial board of peer-reviewed journals in the field of anesthesia and pain medicine. Dr. Angst has been an expert consultant to the biotechnical, pharmaceutical, and legal industry. He received his MD degree from the University of Berne, Switzerland, in 1993 and completed his fellowship training in clinical pharmacology in 1996 at the Department of Anesthesiology, Perioperative and Pain Medicine of Stanford University Medical School. Dr. Buckwalter has been conducting basic, translational and clinical research directed toward advancing understanding of the role of joint injury in causing osteoarthritis for more than three decades. He is Professor and former Chairman of the Department of Orthopaedics and Rehabilitation at the University of Iowa. Dr. Buckwalter has served as the President of the Orthopaedic Research Society; the Co-Editor, Journal of Orthopaedic Research; the President, American Board of Orthopaedic Surgery; and the President, American Orthopaedic Association, as well as in a significant number of other positions. He has multiple grants funded by the National Institute of Health, the Department of Defense and Veterans Administration and private foundations. 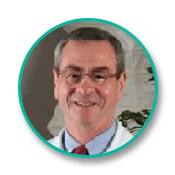 He has published over 400 peer-reviewed articles, has authored more than 100 book chapters and serves on the editorial board of peer-reviewed journals in the field of orthopedic medicine. 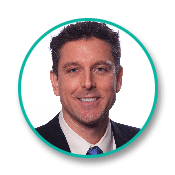 Dr. Buckwalter is a board-certified orthopedic surgeon with clinical and research interests in osteoarthritis, musculoskeletal oncology, sports medicine, and trauma. He earned his BS and MA degrees from the University and his medical degree from the University of Iowa, Carver College of Medicine, in Iowa City, IA. 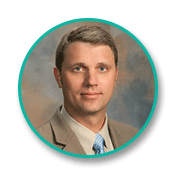 He completed an orthopedic surgical residency at the University of Iowa and was a National Resident Service Award Fellow at the University of Iowa Hospitals and Clinics in Iowa City, IA. Dr. Buckwalter is a member of the American Academy of of Orthopedic Surgeons, the Orthopedic Research Society, the Royal College of Surgeons (Ed), the Institute of Medicine National Academy of Sciences and numerous other professional and scientific societies. Dr. Abrams specializes in Sports Medicine and arthroscopy, upper extremity joint replacement, as well as reconstructive ligament surgery of the shoulder, knee, hip, and elbow. He is a member of the American Academy of Orthopedic Surgeons (AAOS), American Orthopedic Society for Sports Medicine (AOSSM), and the Arthroscopy Association of North America (AANA), among others. He is actively involved in cartilage restoration research, particularly for the shoulder and upper extremity, in addition to the role of inflammatory mediators on cartilage destruction and rotator cuff pathology. Dr. Abrams received his undergraduate degree from Stanford University and his Doctor of Medicine from the University of California – San Diego. He completed his residency in Orthopedic Surgery at Stanford University and went on to receive addition training in Orthopedic Sports Medicine and Shoulder Surgery at Rush University Medical Center in Chicago, Illinois. He has participated in caring for the Chicago Bulls basketball team and Chicago Whitesox baseball team and currently serves as Team Physician for some varsity sports at Stanford University as well as Notre Dame de Namur University. Dr. Abrams has authored or co-authored over 40 peer-reviewed scientific articles, over 20 book chapters, has presented original research at numerous national and international scientific meetings, and serves as a reviewer for multiple Sports Medicine scientific journals. Dr. Raymond Golish MD Ph.D. MBA is a surgeon, scientist and healthcare executive working at the intersection of technology, quality, and value. 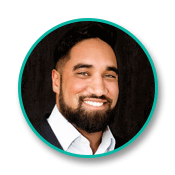 He is an experienced consultant and manager with titles including C-suite executive, Medical Director, and Consultant for organizations ranging from large-cap publicly listed corporations to not-for-profit hospital systems, to privately held startups. Practice areas include biologics, medical device science, US regulatory affairs, payer affairs, quality and value, healthcare IT, advanced analytics, evidence-based medicine, and alternative payments. 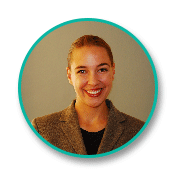 Dr. Golish has extensive industrial, governmental, and professional society leadership experience. He is a special government employee to the US FDA whose service has included agency directed assignments (ADA) and voting members of the Medical Device Advisory Committee. He chairs the Biomedical Engineering Committee and is a member of the Council on Research and Quality of the American Academy of Orthopaedic Surgeons (AAOS) among many other leadership roles. He is the author of over 100 peer-reviewed articles, chapters, proceedings, and abstracts. 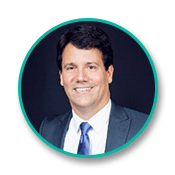 He is a board-certified orthopedic surgeon and fellowship trained spinal surgeon educated at Stanford University (Stanford, CA), Duke University (Durham, NC), and the University of California. Ray Johnson has extensive experience in launching, funding, and scaling orthopedic technology companies. Since 2005, he has served as President and driven the growth of 3 early stage companies in the orthopedic industry, including Cytonics, Atlas Spine, and Safewire (which he sold to Stryker in 2016). Ray is currently the managing director of Exit Experts, an advisory which provides fundraising and M&A services to medical device companies. He also is an advisor, investor, and investment committee member of the Aravaipa Venture Fund, a technology-focused venture capital firm. Ray holds a BS degree in Electrical Engineering from the University of Michigan (Ann Arbor, MI), an MBA from the Harvard Business School (Cambridge, MA), and is currently a doctoral candidate in business at the University of Florida (Gainesville, FL).